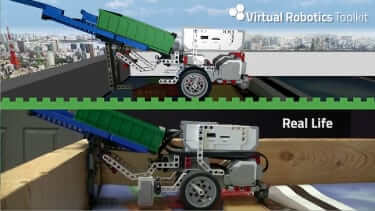 Easily build, program, and simulate your very own virtual robot. Never again disassemble, or lose pieces to something you've worked hard on. With the toolkit, you can store your creations as files you can return to as many times as you like. 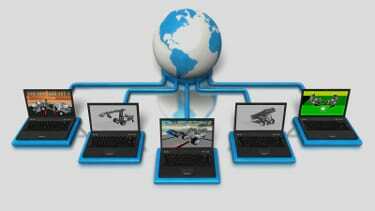 Sharing virtual robots and sample code isn't just easy, it's cost-effective. The toolkit allows you to collaborate with your friends and teammates both inside and outside of the classroom. Simulation is an affordable means to learning strategy, engineering, and programming before upgrading to a physical machine. Now you can work with your robot anywhere, even when it isn't physically available! In school systems around the globe, there are now frequent and widely supported calls for newly envisioned curriculum that better prepares students for the future. The best tool to do this is through the use of educational robots. 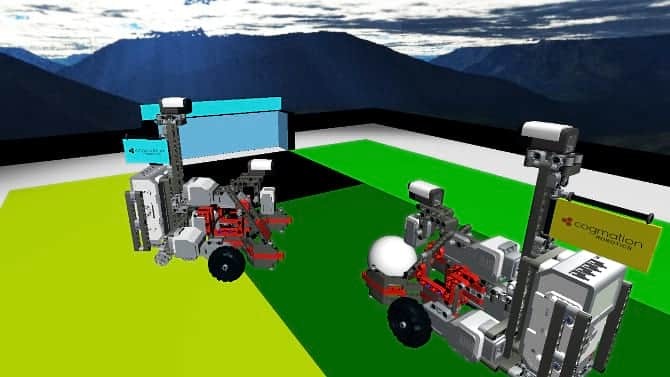 After an analysis of all the tools on the market for simulating an NXT/EV3 robot, I have chosen to incorporate Cogmation's Virtual Robotics Toolkit into our learning due to the enormous flexibility offered both to the coach/teacher and the students to test their programming on a virtual playing field.